There is so much unique architecture at Segerstrom Center for the Arts. 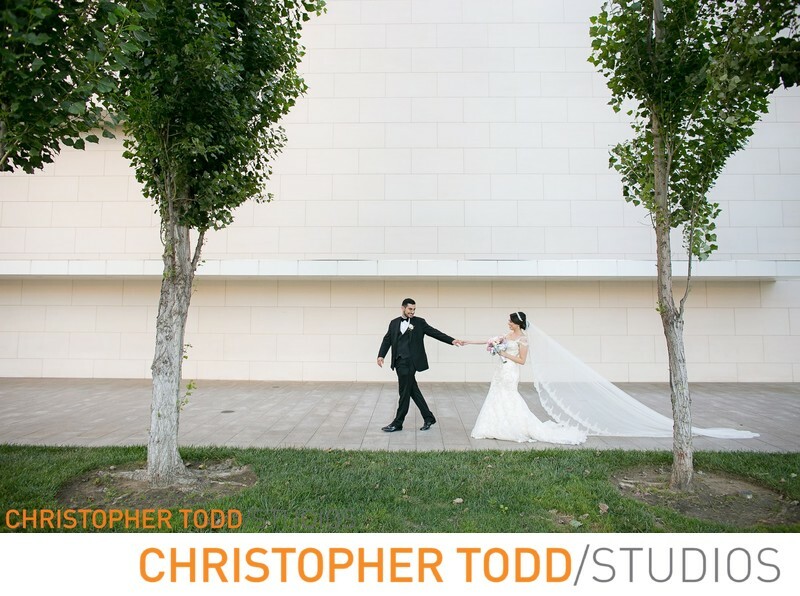 Here I take the bride and groom around the campus in Costa Mesa for their romanitc photo shoot after their wedding. Location: 600 Town Center Dr, Costa Mesa, CA 92626. 1/200; f/3.2; ISO 200; 24.0 mm.